The History and Haunts Paranormal Expo is presented by The Baltimore Paranormal Society and The Heritage Society of Essex and Middle River on March 30,2019, 10:00 am – 4:00 pm. All proceeds will benefit the Heritage Society museum exhibits, public events, and operating expenses. Please join us to explore our historic building and exhibits while attending themed lectures, browsing our vendors, and networking with others who share an interest in all things paranormal. Meet local paranormal teams, including The Baltimore Paranormal Society, to learn about membership opportunities. Volunteers from the Heritage Society will be available to discuss the many antiques housed within the museum. We welcome R.E.A.P. Investigations as our special guests who will lecture and co-host our evening private investigations. R.E.A.P. 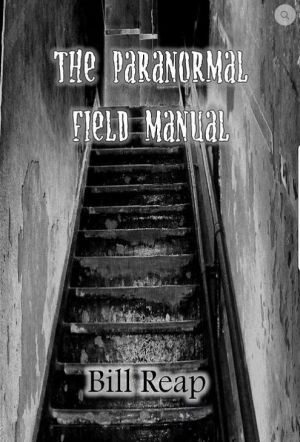 will have their autographed publication available for purchase: The Paranormal Field Manual. Admission is only $10 per person, with an option to purchase a lunch ticket to include 1 hot dog, bag of chips, and a soda/water at a cost of $3. Interested in taking part in a paranormal investigation of the museum? Investigations will be offered during the evening hours in two time slots limited to 10 guests to provide for the most interactive experience: 6:00-8:00 PM and 8:30 PM – 10:30 PM. These exclusive investigations of the Heritage Society are only $20 per person per time slot. How about a chance to win a FREE private investigation for up to 10 guests? Raffle tickets to win a FREE private investigation are available for purchase. One winner with a date of choice per Heritage Society availability, expires 12/31/2019. Admission, investigation, lunch, and/or raffle tickets can be purchased in advance or at the door. Interested in becoming a vendor? Tables are available for $20 each first come first serve, please email the Heritage Society of Essex and Middle River for more information. Parking is available on Eastern Blvd OR across the street from the Heritage Society behind the New Life Sanctuary Church. Due to the historical design of the firehouse building, it is not ADA accessible. The Heritage Society of Essex and Middle River, Inc. is a non-profit organization staffed by volunteers whose goal is the preservation of the history of Essex and Middle River, Maryland. 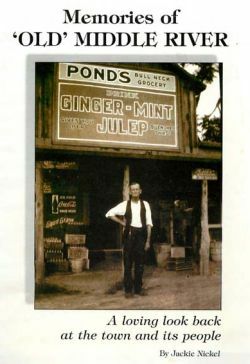 We understand the value of history and we want to share and preserve this community’s heritage and pass it unto our children, grandchildren and all future generations to come. We want to let other people know how they can join in and make a difference in not only their lives, but the lives of others and future generations also. The first meeting was held at Essex Elementary on Sept. 26th, 1968 and the Museum opened exactly seven years later on Sept. 26th, 1975. The Museum is housed in the 1920 Fire/Police Station which also served as a court house. 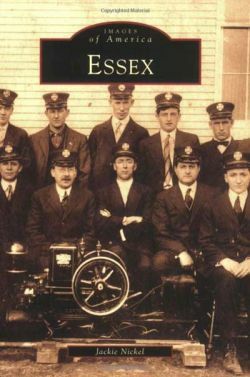 To investigate, collect and preserve the history of the Essex and Middle River areas for ourselves and future generations; to support and promote programs and projects for the good of the people of these areas. The museum is a nonprofit 501(c)(3) organization. Major funding for The Heritage Society of Essex and Middle River, Inc. comes from the people. Become a member.